This is one of Jenny's favourite beach paintings. 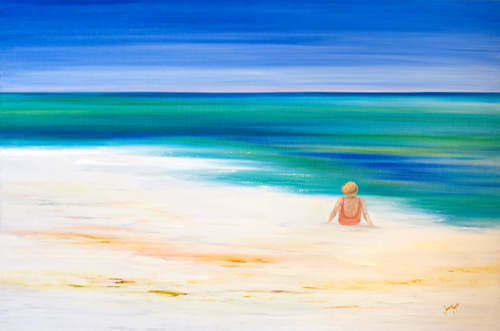 A large feature painting of a woman sitting on a peaceful beach obviously just enjoying the absolute ambience and peace. This is an oil on canvas stretched on wide bar to enable to hang on the wall without a frame.